In his celebrated novel, “The Picture of Dorian Gray,” Oscar Wilde declared, “Youth! Youth! There is noting in the world but youth!” Although written in 1890, that sentiment feels right at home during the first quarter of the 21st century. According to OrbisResearch.com the global Anti-Aging market is worth more than $250 billion, and continues to grow by leaps and bounds. But rather than march in lockstep to the conventional wisdom of worshipping youth, author Sheryl Towers urges older Americans to Embrace a New Vision of Aging. Towers acknowledges that our increasing longevity comes with challenges. Some of the changes we experience with aging can create feelings of loss of control, as if we have been abducted into an unwelcome phase of life. Our capacity to deal with change is cultivated through building our resilience. As we build resilience, we develop a reservoir of inner strength that enables us to cope with what comes our way and to favorably adjust to the challenges we face. There are more than 46 million Americans over the age of 65 – approximately 15 percent of the population. That number is expected to more than double by the year 2060 to over 98 million, and comprise nearly a quarter of the nation’s population. “Staying young psychologically means not surrendering the passion and creativity we enjoyed in our younger years. Maintaining our child-like curiosity is critical to thriving at every stage of life” Towers states. She suggests finding activities that don’t just amuse you, but fulfill you. 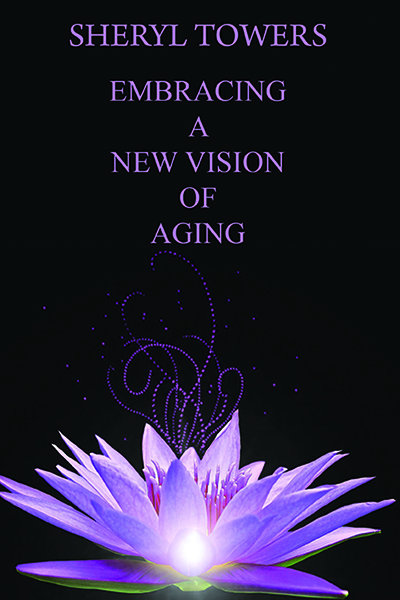 Embracing a New Vision of Aging released August 29, 2018 from WordCrafts Press in hardback for $22.99, and quickly topped Amazon.com’s Hot New Releases in its Aging Parents category. Sheryl received her Master of Liberal Studies degree from Mercer University in the area of psychology. She is the author of three books, Seeds of Success: Nurturing the Greatness within You, Transforming Your Life: Moving from Fear to Love, Joy, and Abundance, and most recently, *Embracing a New Vision of Aging*.